An updated study from Riverkeeper, SUNY Cobleskill and SUNY Polytechnic poses the question of which parts of New York’s Mohawk River are safe to swim in. WAMC’s Jim Levulis spoke with Barbara Brabetz, a biochemist at SUNY Cobleskill, about the effort to track the health of a 120-mile stretch of the waterway from Rome to the Capital Region. Brabetz's colleague Dr. Neil Law and students at SUNY Cobleskill also took part in the effort to study the Mohawk. WAMC's David Guistina speaks with Miles Reed, Editor of The Daily Gazette, about a law requiring school districts to post their budget online. 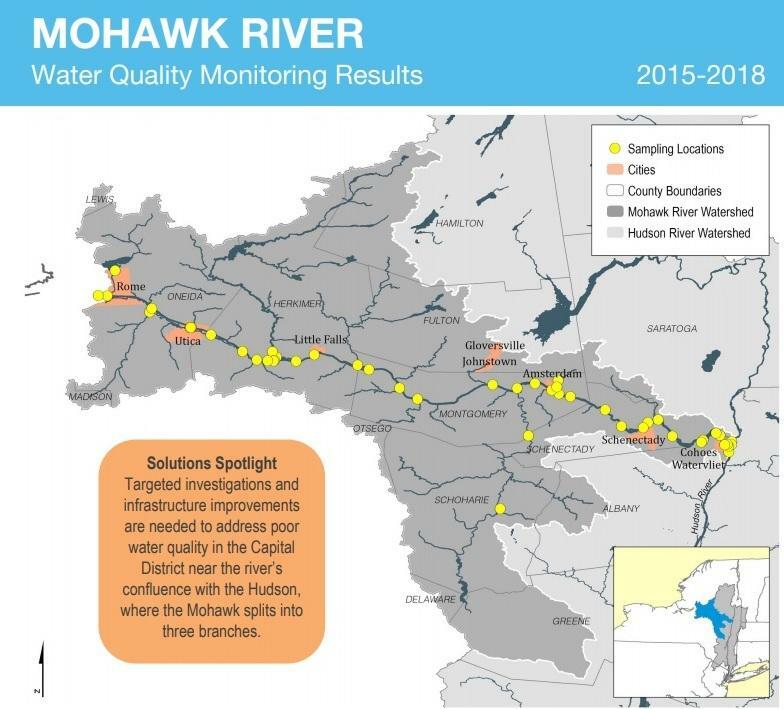 The pair also discuss flood monitoring along the Mohawk River. Police have found the body of a man who apparently fell into the water and drowned while fishing in New York's Mohawk River. Following unseasonably warm temperatures this week, several communities across the region have been dealing with flooding caused by ice jams. State funding to build a new rescue boat launch for a local fire department along the Mohawk River has been secured. One body has been recovered and police continue to search for two other men whose paddle boat capsized in the Mohawk River in central New York.